Glion III report launch and panel discussion – Turning international norms into local reality: Are we seeing a new human rights ‘implementation agenda’? The development of international human rights norms is seen as one of the great success stories of the UN. Since the adoption of the Universal Declaration of Human Rights by the General Assembly on 10th December 1948, the international community has moved to create a comprehensive global code of human rights norms governing practically every area of the relationship between the individual and the State. But what are the real world, practical, tangible implications of this global code? The primary responsibility for promoting and protecting human rights lies with States, but do States comply with the standards and obligations that they themselves have set down and ratified? What do States do with the recommendations generated by the main human rights mechanisms? How do States seek to transform international norms into local reality and do they succeed? How do the Human Rights Council (Council) and the wider international human rights system support States (e.g. through capacity-building) to strengthen implementation and compliance? As the Council marks its 10th and the two human rights Covenants their 50th anniversaries, there are important signs that UN Member States are increasingly turning their attention to the question of implementation, and how best to support it. 2016 therefore offers an important opportunity for a process of inclusive and collective reflection on remaining gaps, lessons learned, and best practices and how to replicate them. The third Glion Human Rights Dialogue (Glion III), organised by Norway and Switzerland, with the support of the Universal Rights Group (URG), held from 3rd to 4th May 2016, aimed to provide an informal space for considering such questions. Glion III adopted a bottom-up approach to the issue of implementation, addressing a number of key questions: How do States implement UN human rights recommendations? How does the international community seek to support them in that regard? How does the international human rights system seek to promote cooperation and address persistent non-cooperation? And, how can implementation be strengthened in the future? 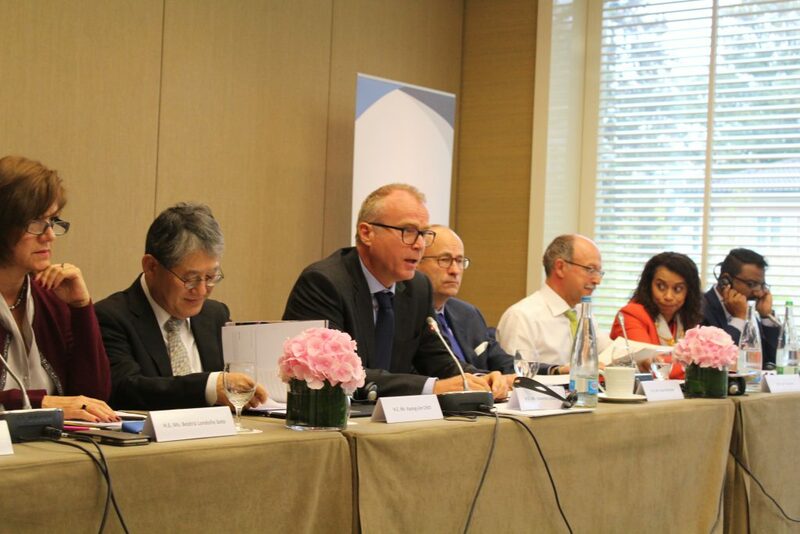 On 17th October 2016, the Governments of Norway and Switzerland, supported by the Universal Rights Group, hosted a panel discussion – “Turning international norms into local reality: Are we seeing a new human rights ‘implementation agenda’?” – to mark the launch of the informal report of the third Glion Human Rights Dialogue.